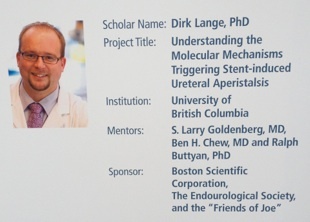 Dr. Dirk Lange was awarded the prestigious, Segura Scholarship in Endourology and Stone Disease, a Urology Care Foundation sponsored fellowship (previously: American Foundation for Urologic Diseases – AFUD). The Segura Scholarship is a Society of Endourology designation named after the late Dr. Joseph Segura who made significant contributions in the field of Endourology. 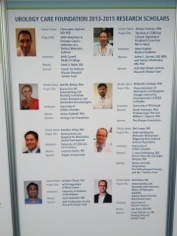 The American Urologic Association Research Scholar Program recognizes up and coming clinicians and basic science researchers who are expected to make significant contributions to the field of Urology in the future. Congratulations to Dr. Lange for this excellent achievement!